These are heady times for the NDP. First in the polls in this pre-election season but up against a Conservative government that has portrayed itself as the only credible steward of the economy. 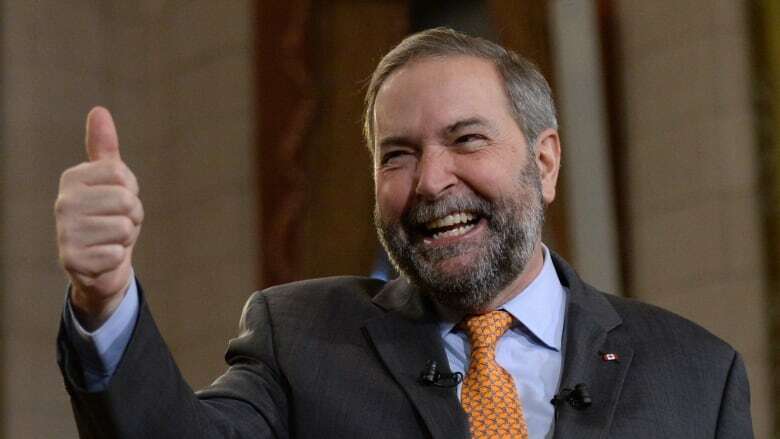 Today NDP Leader Tom Mulcair makes his pitch to be Canada's next Prime Minister. Those were indeed good days for the federal New Democrats. It was 1987. An election was in the air. The Conservative government suddenly appeared less than invincible. And everything seemed to be going NDP leader Ed Broadbent's way. Of course the major breakthrough wasn't to be. One year later, the NDP had gained 11 seats, but was stuck in third place.That sense of optimism in the ranks may have returned today however, with the NDP -- now the Official Opposition -- surging to first place in at least one national poll. And the experience of 1987 stands as a hint of what might be possible... as well as a cautionary tale. The NDP's leader Tom Mulcair was in Toronto yesterday to speak to the Economic Club of Canada, and he joined us in studio. ​We have requested interviews with both Prime Minister Stephen Harper and Liberal Leader Justin Trudeau. We spoke with Justin Trudeau one year ago today. Have a listen to our conversation. This segment was produced by The Current's Gord Westmacott.